This is a very effective method of hiding nanny cams though this has become a faded idea.in case of stuffed or spongy toy the camera is inserted with the lens coming out at the area around the mouth or eye from the toy. This stuffed toy is placed in a position which covers the full room. For effective feedback many cameras are fitted inside the toy. This method can also be employed in the pillows and cushions which are present in the room. The camera is inserted inside the cushion or pillow and a hole is made for the lens. These are kept in proper angles so that the nanny cannot escape from these eyes. 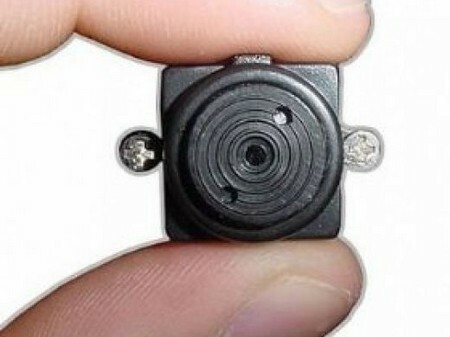 If you are making use of tiny nanny cams then the previous methods can be pulled off as in the case of certain movies. The smoke detectors which have been installed in every room can be made use of. The tiny nanny cams are inserted in the smoke detectors. In order to capture the full room area you need 4 cameras. Hence you should have enough cameras to implement this method. Nanny cams can also be installed inside the ventilators of the room. The vents are unscrewed and the cover is removed. The camera is installed with the lens looking out of the ventilator cover without any obstruction. The vent cover is screwed back in place and the feed is inspected. The angle is adjusted for different positions. Plants can also be used for installing nanny cams if they are grown inside the houses. In order to attain the best camouflage effect plants which has lots of leaves are chosen. But the leaves should not create trouble for the angles and views of the camera. The other best place to position the nanny cam is to place it on top or beside the television. The camera is covered with some ornament which is displayed in that area. But the ornament should have a hole through which the cam can record. If you use your brain in a more creative way many ideas will pop up to place the nanny cams. Many spy movies and television programs should also be watched for better ideas.